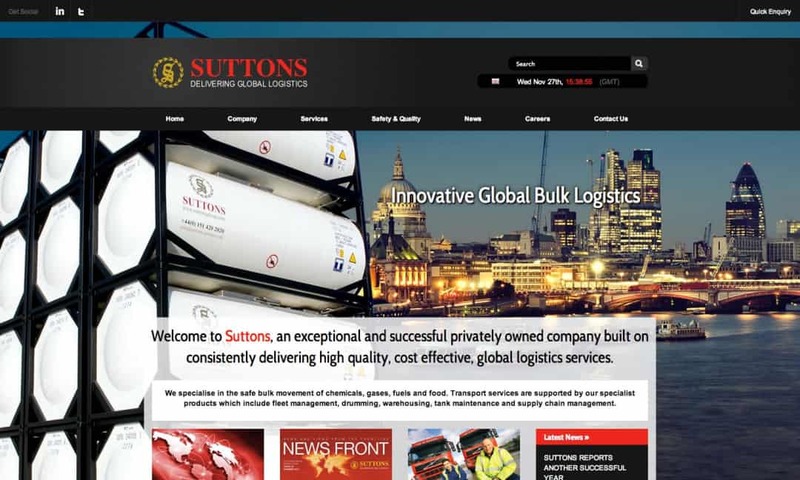 Suttons Group has four subsidiaries focusing on bulk international transport, road tanker transport, UK warehousing and chemical drumming, and has offices in Europe, the Far East, Middle East and the US. Since the launch of their original website back in 2006, the company has expanded on a global level and required a website to reflect UK and international operations. The brief was to produce something that reflected the company’s brand identity and get across the wide variety of logistics services the company offers. It was also important for the website to have the ability to accommodate multiple languages. This is where the innovative design and marketing skills of our team at Creativeworld came in. 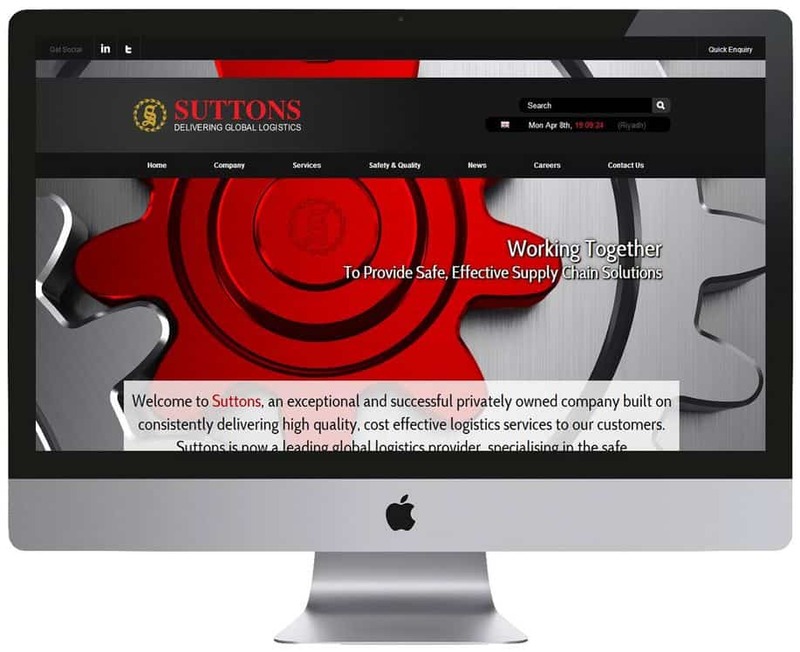 With a website of this nature it was important for our team to consider who Suttons’ target audience was and how we could attract them to the site on a design front. With this in mind, the team set to work on creating something truly bespoke and innovative to Suttons Group. The website features an opening page that adjusts according to your location current ip address, meaning whether you’re in China, Great Britain or Saudi Arabia it speaks the appropriate language. The opening page also shows a location relevant image, giving the user a more personal first impression.